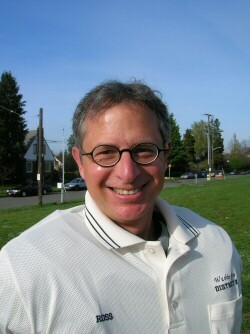 Welcome to the Roosevelt - University - Greenlake Little League! We'd like to introduce ourselves and give you some contact information to be able to reach us if you have any questions or concerns about the league or anything that is happening during the season. We're also always looking for new members to help us out on the board, so feel free to step up and volunteer! John is a self-described “businessman” whose varied experience and acumen has positioned him to ably hold the purse strings for RUG. His 16 (SIXTEEN!) volunteer years have encompassed his treasurer role, field maintenance, scorekeeper, concessionaire and errand runner. His two young adult offspring are both long term veterans of RUG LL and successfully making their way in the larger world. John enjoys snow and water skiing, fishing, hiking and relaxing with friends. His favorite Mariner – that class act: Dan Wilson. Food favorites are a tossup with a three-sided coin; Asian, Italian or a Hot Dog and Soda accompanied by RUGLL baseball at Maple Leaf Field. Ross is a small business owner by profession, currently engaged in four distinct companies. He believes that the best seat in the house is right behind the catcher. Ross loves the concentration of making the calls and the exercise of running around and enjoys the connections he makes with players and the fans and coaches, too. The only downside is waking up every morning to sore thighs and a hoarse voice. 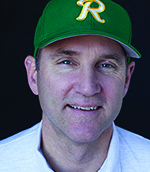 Ross has been the RUG Chief Umpire for more than 10 years and his kids have long ago retired from little league. His favorite guys at Safeco are the umpires and he loves sitting in the far bleacher seats as that gives him best view of the strike zone. His hobby is weaving and he currently owns two looms and his favorite foods are popcorn, homebrew and 5-star spicy Thai. Eric is an owner of a residential appraisal company. He grew up playing in RUG Little League and still plays softball with some of his teammates (and opponents) from those (g)olden days. Since 2006 he has coached his three children at all levels from T-ball through Majors and beginning in 2011 became actively involved on the Board. Other hobbies include skiing, basketball and a love of comedy. Favorite Mariner is a tie between Bob 'scrap iron' Stinson and Ken Griffey Jr. Favorite food is anything that can be dipped in a sauce. These are positions that still need to be filled, or are currently held by people who are interested in stepping down once a replacement has been found.